The Regeneration initiative is aimed at creatively engaging academia and the community to turn waste into value. Supported by RCE Severn, and launched in May 2016, Regeneration supports the University’s sustainability commitments. It is led by Michelle Williams, Product Design Course Leader, in collaboration with Art and Design students and staff, local sustainability charity Vision 21, and Gloucestershire County Council’s Joint Waste Team. Regeneration uses Education for Sustainability principles to rethink learning and teaching in design, to nurture future-thinking students and to share this learning with the community. Actively engage local people and students in design, to develop the new generation of repairers and support the circular economy. Change the University curriculum to embed transformative professional practice in sustainability and rethink how everyday items can be designed for the future. Influence society’s approach to repair and disposal, whilst also connecting people of all generations who may not otherwise meet. Drive a new generation of repairers and innovative designers. Check out the Regeneration Repair Café Launch Film, produced by a student on the Sustainability Internship Programme, and the 2017 promotional film made by Vision 21. For more information or to offer your help as a repairer, please contact Michelle Williams. 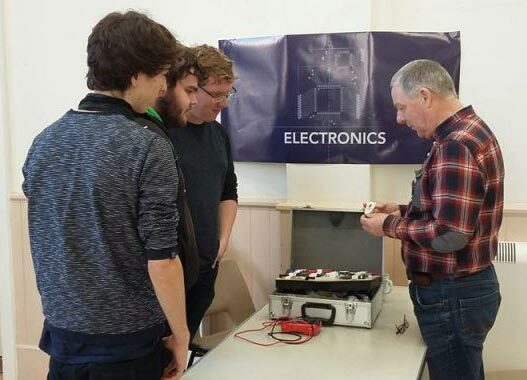 Specialist workshops – themed sessions run by the repair café on aspects of reuse and repair, e.g. of IT, technology, and clothing. These workshops now also offer advice in partnership with Cheltenham Green Doors, Warmer Cheltenham, and Warm &Well, for all things related to energy and CO2 saving within the home. In March 2017, further advice clinics were introduced in partnership with Joint Composting, Get up and Grow, and Love Food Hate Waste. Capacity building workshops for Cheltenham Design Academy – Staff from the Regeneration project and the University Product Design course team, are providing workshops to engage school children with the reuse and repair of IT equipment, fashion, upcycling and energy saving with local partners. Recognised by the United Nations University RCE International awards 2016 as a Flagship Project contributing to sustainability capacity building. Waste and spend avoided – in the first year, Regeneration redirected 340 products and clothes items from landfill. GCC waste team monitors the contribution to local waste targets. Community participation – 85 individuals from all walks of life attended Regeneration cafes in the first 3 months, serving its aims to promote inter-generational and community-wide learning for sustainability.